HomeThe UFO phenomenon as demonic activity? 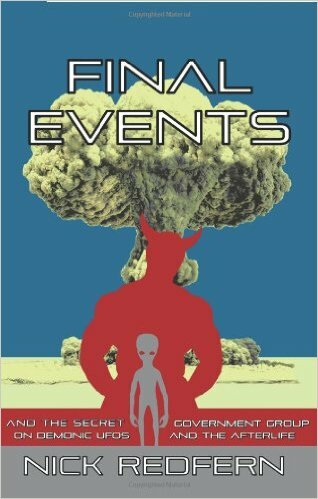 The UFO phenomenon as demonic activity? 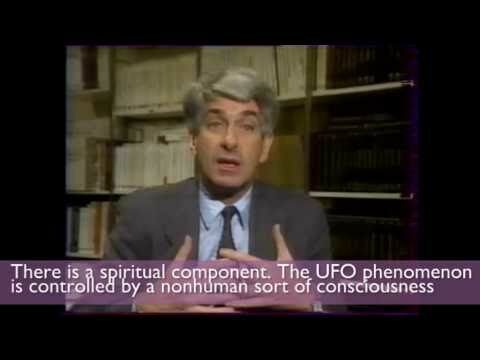 In my opinion, Dr. Jacques Vallee is probably the world’s top-most authority on the nature of the UFO phenomenon. I totally concur with Dr. Vallee when he stated that “the things we call ‘unidentified flying objects’ may neither be objects nor flying”. One of the strangest characteristics of this phenomenon seems to be its ability to materialize and dematerialize at will, violating the laws of motion as we know them. Who are some of the leading UFO researchers who recognize that UFOs are an occultic and/or demonic phenomenon? “…human belief… is being controlled and conditioned“. 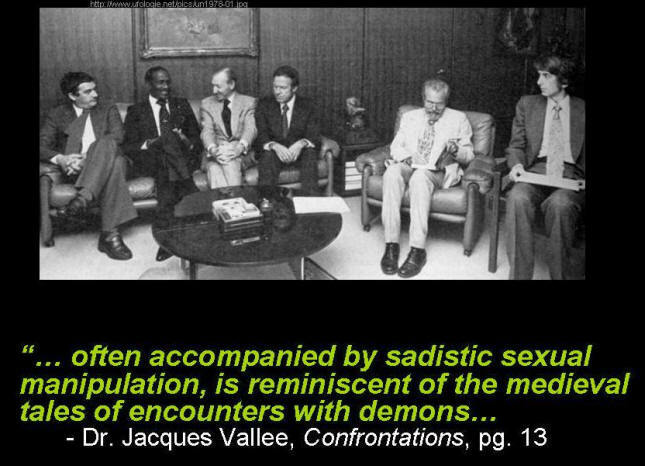 “The ‘medical examination’ to which abductees are said to be subjected, often accompanied by sadistic sexual manipulation, is reminiscent of the medieval tales of encounters with demons. 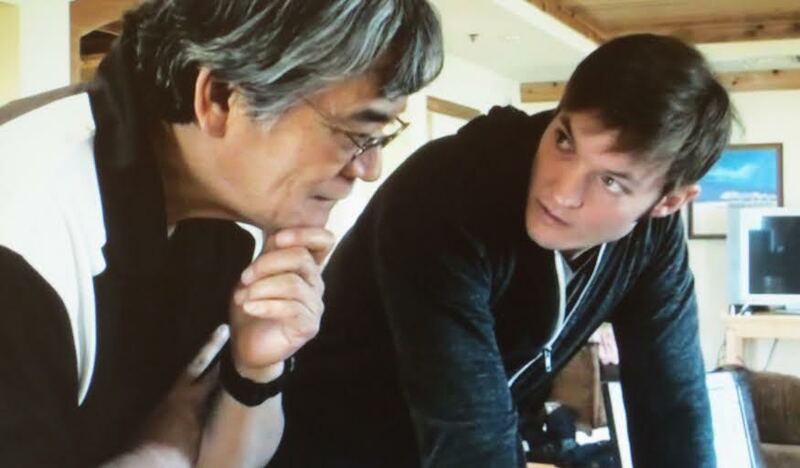 1) It produces real material-world events, detectable by radar and sometimes leaving behind physical traces. 2) It is a psychic phenomenon that profoundly alters the consciousness of those exposed to it. 3) It is apparently surrounded by deception activities which mimic it, produced by human groups. We tend to consider these elements as mutually exclusive, but they’re not; all three are explainable by demonic activity and invocation. Demons are subtle beings who can temporarily materialize themselves and various objects in this world, but who cannot remain on our material plane for very long. I don’t claim to know the secrets of the Universe, God. 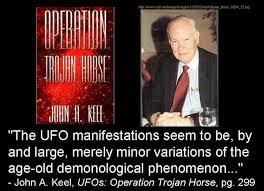 In my opinion UFO ology has little or nothing to do with the occult and spirituality. I believe in this vast universe which there are trillions of planets it would be naive and simple minded to believe we are the center of the universe and there are no other intelligent created beings from God. George,thanks for your comment. We still do not know the true nature of the UFO phenomenon. The overwhelming vast majority of the world’s scientists and astronomers seem to hold on to the speculation that we are most likely not the only ones in this vast universe. I also concur with that. Everybody knows that. However, at the same time, those overwhelming vast majority of the world’s scientists and astronomers seem to hold a rather skeptical view of the UFO phenomenon as definitive evidence of physical visitations of advanced extraterrestrial entities in their physical spacecraft to our Earth. Until there is definitive tangible, physical, irrefutable evidence, everything is simply speculation. It would be premature to exclude anything, such as even the so-called “occult” phenomenon. We simply do not really know what “reality” is. Thanks for your reply. I will keep a open mind! Trevor James? Do you mean Trevor James Constable, author of The Cosmic Pulse? Excellent reference, Nick! Thanks for your input. I sure appreciate it. In fact, Nick, I will add this in the page. I believe the spiritual component to these and other phenomena to be the best fitting and most workable explanation, disturbing though it may be. that also included ABOVE TOP SECRET! The actual truth lies inside this restrictive maze that few persons can reach! of the powers of the President , he is allowed to create defensive measures to protect the Earth at all cost! 1990’s and gave him some info before his book was published! intel publicly available you may browse. it growingup in the ’90’s! Many subjects, were covered and just about any topics? But only 5 states aired the subject matter on ” ROSWELL ” , while others blacked oui the broadcast!? albeit dead not alive and so, what did Disney know that placed this Above Top Secret!? And who told him!? category and yet ‘ ROSWELL ” was treated very seriously, why!? early for something this sophisticated to crash because there was no storm to bring it down? was created, due to a real threat from Outer Space!? Think About It!? B. A means to condition the alien soul and subtle body for tolerating human host body and soul. C. A means to enter, implant, or assume residence into the human body and soul in a controlled and contained manner. D. A means to functionally interface or integrate with human soul and mind and emotional characteristics for learning and acclimation purposes, and exploration and evolutionary purposes for the alien’s benefit, or for the benefit of something beyond the alien itself (i.e. Functional communication interface between alien and human systems). in existence but he LIED he never did!? may have brought them closer to the realm of the Supernatural/ GOD! determine why these characteristics exist? aware that HIS power can create anything HE wishes to happen!!! highest levels of U.S. military security clearances and access codes restrictive!!! was a major victim of FOUL PLAY! both of us!!!! Since the FBI , knows I’ve taken Ted Gunderson’s place , they are not happy campe! And my knowledge is a real fear for them! ‘GOOD GUYS ” are losing! Buzzfeed reporter Michael Hastings in June 2013! I dedicate myself in keeping their mimories ialive!